Do you desire for the free upgrade? Of course, you do! Different from the traditional motherboard, ASRock UCC series motherboard makes a new definition of how a motherboard will be used! It is a new upgradeable motherboard usage that users enable the ASRock UCC (Unlock CPU Cores) feature in BIOS, and the CPU cores might be upgraded from X2/X3 to X4, and X4 to X6. 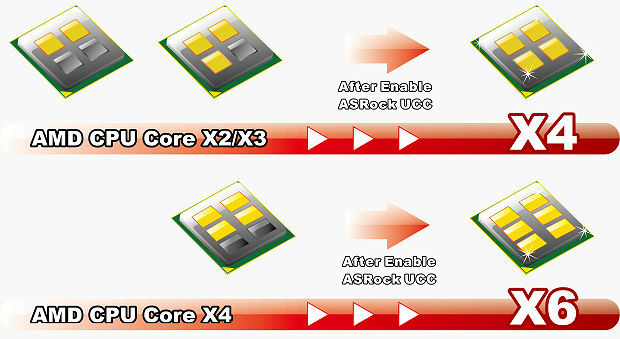 ASRock UCC simplifies AMD CPU activation. 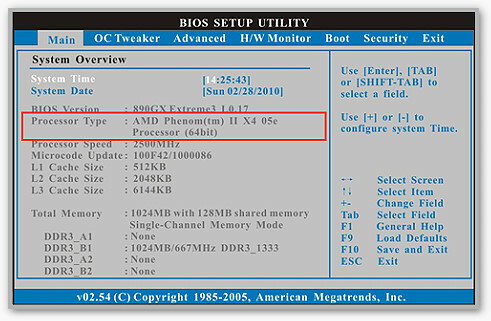 Just a simple switch of the BIOS option ‘UCC’, you can unlock the extra CPU core to enjoy an instant performance boost. 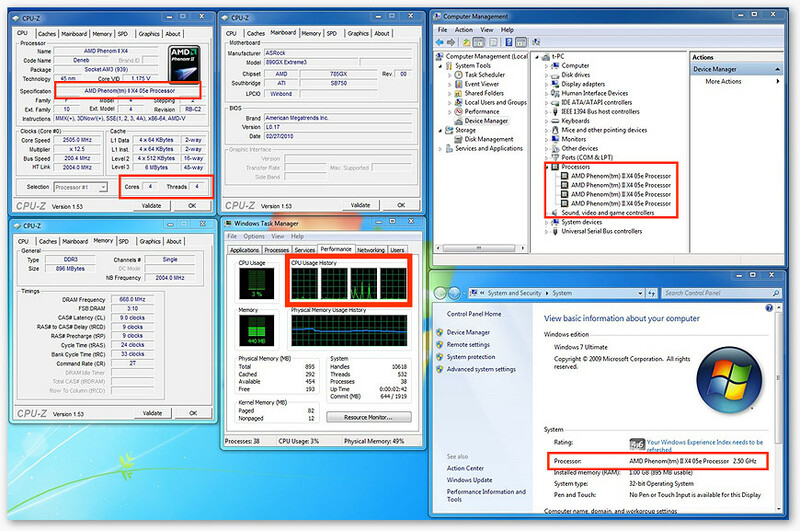 Additionally, some CPU can even increase L3 cache size up to 6MB. Not only on AMD 8xx series motherboards, have we implemented the UCC feature on entry Nvidia N68 series motherboards as well. 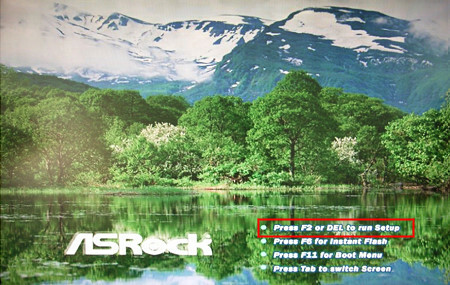 At ASRock, we take our commitment to cost-effective technology seriously. By bringing leading-edge upgradable technologies such as UCC to as many top-to-bottom products as possible, ASRock has and will continue to set the industry standard for the futurist technology! 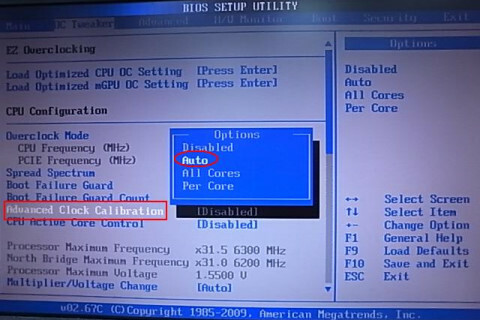 Press "F2" or "DEL" to enter the BIOS. Choose the "OC Tweaker" page and "ASRock UCC" option! 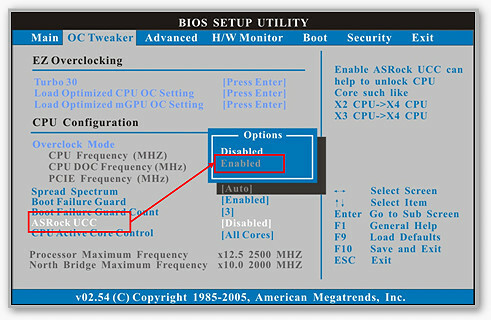 "ASRock UCC" set to Enabled. Press "F10" to save change and exit. 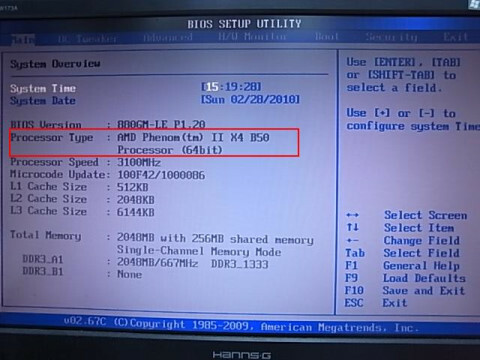 Processor Type unlock to "AMD Phenom II X4 05e" under "Main" page. Choose the "OC Tweaker" page and "Advanced Clock Calibration" option. Set the option to [Auto] as shown, and press F10 to save and exit. 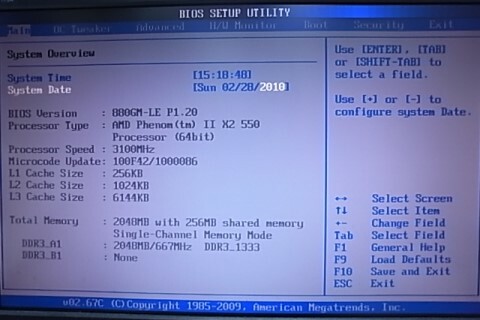 Processor Type unlock to "AMD Phenom(tm) II X4 B50" under "Main" page.